Sherds and Patches has been neglected. My summers are always busy, but this year has been really busy. As the fall semester is about to begin, I feel like I should at least take stock of where I have been. A surprising number of folks visit this site and seemingly find something that they are looking for. In hopes of leading online visitors to some of the exhibitions, projects, etc. that I have been involved in this summer, I offer this roundup with relevant links. Packing a summer into one post, please excuse the length (about 1600 words). Skimmers welcome. When the spring semester ended, my Mathers Museum of World Cultures colleagues and I, together with MMWC Policy Committee Chair Eric Sandweiss, poured our energies into hosting Museums at the Crossroads: Local Encounters, Global Knowledge. Held at the museum between May 14 and 21, the workshop was supported by the IU School of Global and International Studies and the College of Arts and Sciences. It gathered museum professionals and other scholars from numerous institutions and various countries for generative discussions and activities aimed at considering the state of museums in changing social contexts around the world. I am thankful for all who journeyed to Bloomington to join the discussion. Thanks too go to the MMWC staff members who helped organize the gathering and to the School and College for their generous support. Learn a bit more about Museums at the Crossroads from this IU press release. SGIS published a wrap-up story about Crossroads. Before and after Museums at the Crossroads, I worked as a lead investigator on a Andrew W. Mellon Foundation-funded research/planning project considering the viability of alternative, sustainable financial models for university press monograph publishing in the humanities and interpretive social sciences. This is a project being pursued concurrently on the University of Michigan and Indiana University campuses. I am the researcher for the IU component of the project. A glimpse of the project is available in this IU press release (where our project is the second of two being discussed). A story last summer in the Chronicle of Higher Education provides additional context for the models that I have been discussing with IU faculty and administrators as well as with our UM/IU, research team. Another big project that came to fruition in the days after Museums at the Crossroads is the Mathers Museum of World Cultures exhibition Cherokee Craft, 1973. This is an exhibition that I have looked forward to doing since the early 1990s. As I student, I first studied the museum’s collections made among the Eastern Cherokee. I knew then that they would make a great exhibition. That moment came this summer. Originally, I was going to curate the exhibition with help from graduate students Emily Buhrow Rogers and Kelley Totten but by the time we finished, it was Kelly and I helping Emily with her exhibition. What Kelly and Emily came up with is infinitely better than the simple exhibition that I had originally imagined. Cherokee Craft, 1973 opened June 16. Here is how we have described the exhibition in promotional materials. Cherokee Craft, 1973 offers a snapshot of craft production among the Eastern Band Cherokee at a key moment in both an ongoing Appalachian craft revival and the specific cultural and economic life of the Cherokee people in western North Carolina. The exhibition showcases woodcarvings, masks, ceramics, finger woven textiles, basketry, and dolls. The works presented are all rooted in Cherokee cultural tradition but all also bear the imprint of the specific individuals who crafted them and the particular circumstances in which these craftspeople made and circulated their handwork. What that description does not explain is that the presentation for the exhibition creatively evokes the Qualla Arts and Crafts Mutual, Inc. gallery (ca. 1973), from which the museum obtained its collection. Come by and see the exhibition at MMWC and find the real co-op as it is today on its website. After a quick but wonderful visit to Oklahoma for Green Corn, I headed off to the Smithsonian Institution to again serve as a visiting faculty member at the Summer Institute in Museum Anthropology, which is led by Candace Greene and funded by the National Science Foundation. I have discussed SIMA previously. It is a great program and this was a another great year. If you are new to SIMA, check out the SIMA information page. On top of the great SIMA stuff, I even had a bit of time to see the Chinese basketry in the NMNH collections! SIMA was followed by a quick family trip to Santa Fe, where I got to attend the International Folk Art Market (which was great as always) and see the exhibition “The Red that Colored the World” at the Museum of International Folk Art. The “Red” exhibition is a tour de force. Simply amazing. I hope that many many more people get to see it in Santa Fe or on the tour to come. You can read about the Red exhibition in many places, including this NEH story by Peter BG Shoemaker in Humanities magazine. While in Santa Fe, I purchased (at the market) two willow baskets by Blaise Cayol, a remarkable French basket maker. Learn about his basketry on his website Celui qui Tresse. Willow Work: Viki Graber, Basketmaker presents a weaver of willow baskets from the Mennonite community of Goshen, Indiana, where she has lived for 25 years. Graber learned willow basket weaving at the age of twelve from her father, who was recognized by the National Endowment for the Arts as a 2009 National Heritage Fellow. Where once her family plied their talents to make utilitarian workbaskets, today she works full-time weaving baskets for collectors and to sell at art shows and galleries. While using the same tools and methods as her great-grandfather, Graber’s keen sense of color and innovative designs have elevated her family’s craft to a new aesthetic level. Jon Kay curated Willow Work, drawing upon work done for Traditional Arts Indiana. Get details on the exhibition on the MMWC website. Learn more about Viki’s basketry on her website, Confluence of Willows. 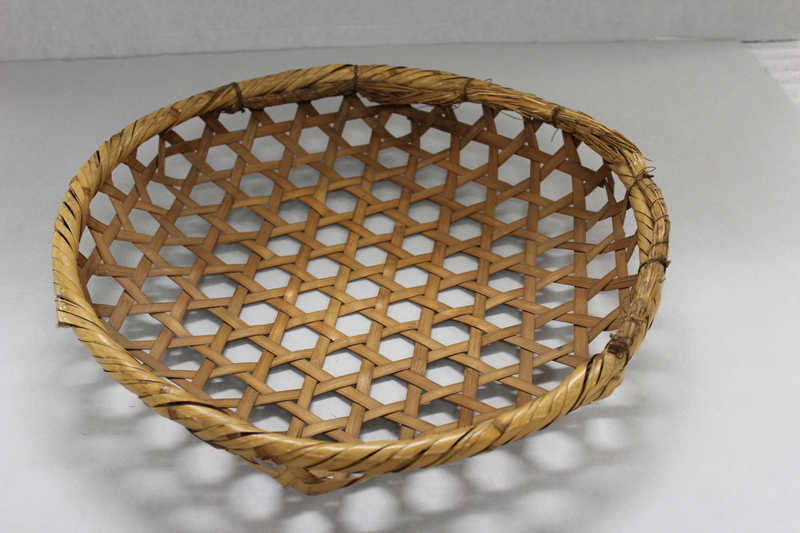 Willow Work: Viki Graber, Basketmaker is one of three exhibitions that we (MMWC) are organizing for Themester. I will post (I hope) about the two that are still to come, but I note here that a second one has been curated by Jon Kay. Here is the description. Working Wood opens on September 8. Working Wood: Oak-Rod Baskets in Indiana presents the work of the Hovis and Bohall families of Brown County, Indiana, who made distinctive white-oak baskets for their neighbors to carry everyday items and to gather corn. However, by the 1930s, the interest of urban tourists transformed these sturdy workbaskets into desirable souvenirs and art objects. In recent years, these baskets have come to be called “Brown County” and “Bohall” baskets, perhaps because of the great number of baskets made by the Bohall family in Brown county during the 1920s and 1930s. Nevertheless, the history of this craft is more complex these names reveal. Using artifacts and historic photographs, this exhibit explores the shifts in the uses and meanings of these baskets as they changed from obsolete, agricultural implements, into a tourist commodity. Using the lens of work, this exhibition tells the story of these oak-rod baskets and the people who made and used them, and how local makers strived to find a new audience for their old craft, and how ultimately the lure of steady work in the city contributed to the end of this tradition. Between now and then, we will be working to finalize an third basketry exhibition that I have co-curated with Lijun Zhang of the Guangxi Museum of Nationalities. Opening September 1, It focuses on work baskets in Southwestern China. We describe it in this way. Putting Baskets to Work in Southwestern China explores the contemporary the use of basketry in urban and rural labor in contemporary China drawing upon a newly acquired representative collection of bamboo baskets documented as active tools of labor in the region around Dali, in Yunnan province, and in Guizhou and Guangxi provinces. 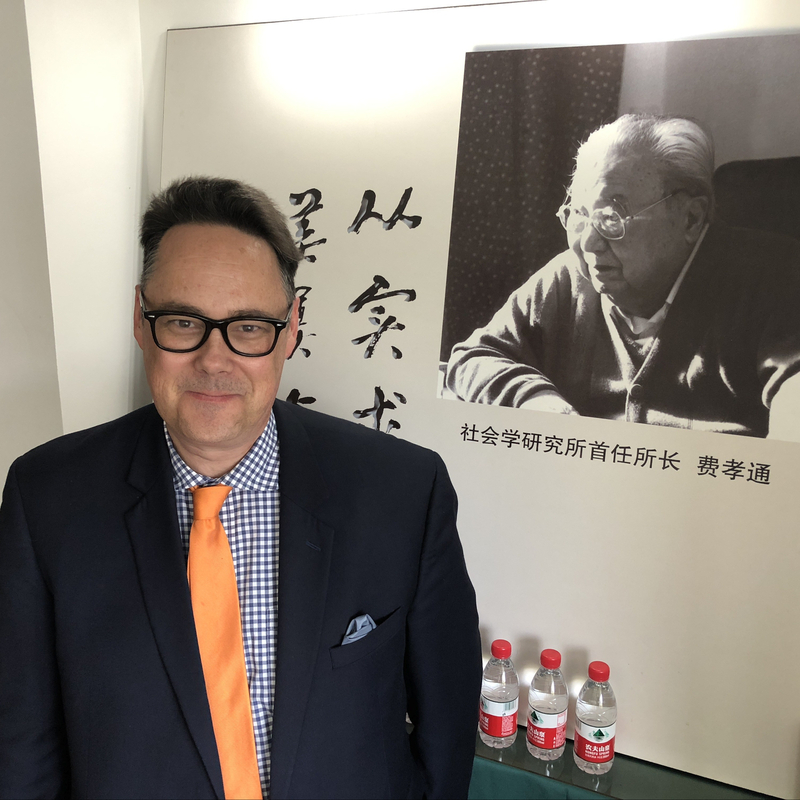 The collection was acquired and documented by Jason Baird Jackson, Director of the Mathers Museum of World Cultures, who will co-curate the exhibit with Lijun Zhang, Research Curator at the Guangxi Museum of Nationalities in Guangxi, China. All three of these work-related basketry exhibitions have been organized for the Fall 2015 Themester, which is themed “@Work: The Nature of Labor on a Changing Planet.” Our museum programs are organized under the rubric “@Work with Basketry on a Changing Planet.” The College of Arts and Sciences at IU has contributed to these projects and the public programs that will accompany them. Learn more about Themester 2015 on the Themester website. Learn more about the exhibitions and programs on the MMWC website. In the background, Emily Buhrow Rogers and I have been finalizing a double issue of Museum Anthropology Review. We look forward to sharing it in the next couple of weeks. See some of its content online in preview mode at the journal website. In the midst of all of this, I have—with the support of numerous friends and colleagues—been preparing my faculty promotion case. Time will tell how that turns out. This is just some of the high points. Its been a busy summer. Whether relaxing or busy, I hope that your summer was excellent.